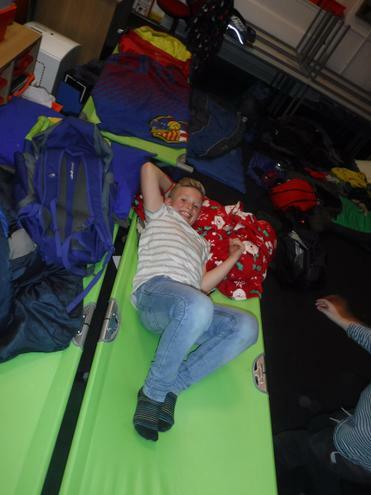 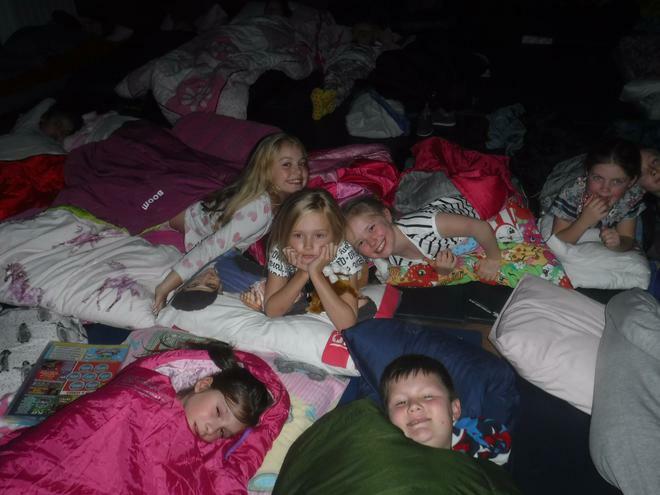 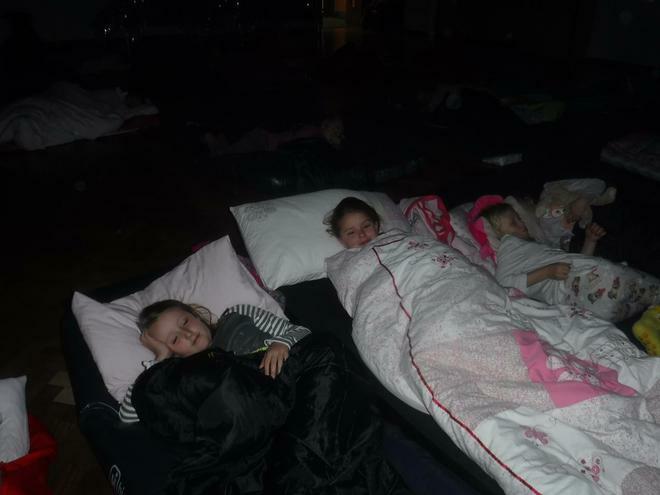 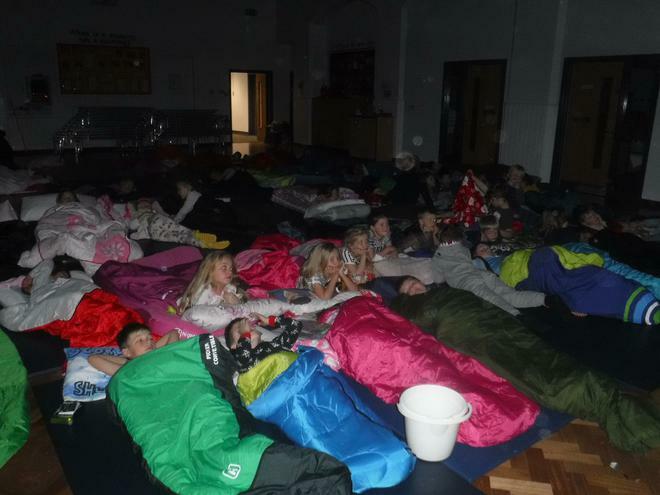 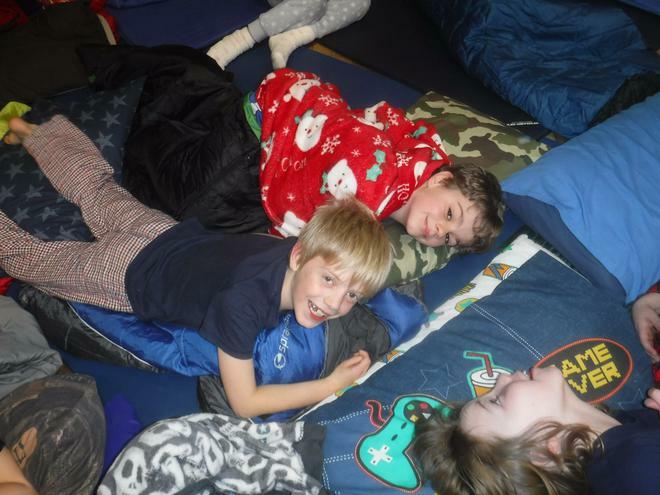 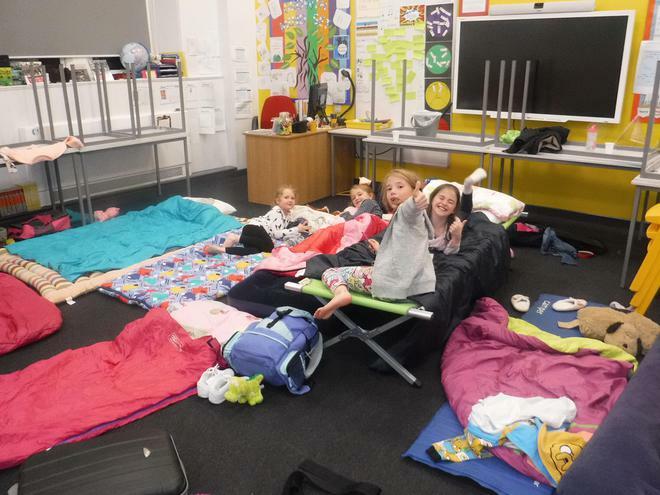 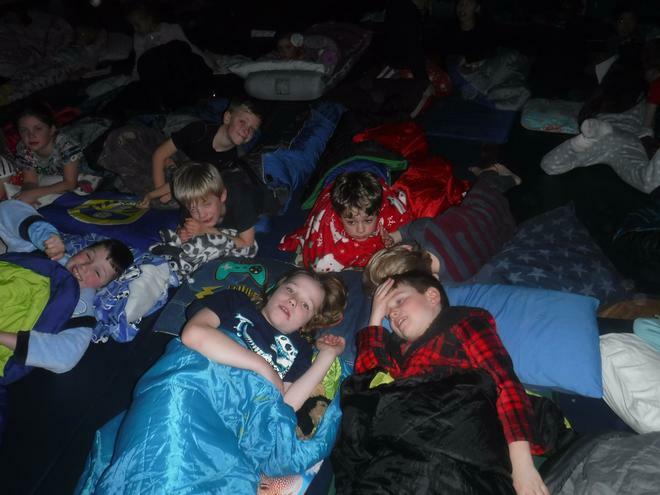 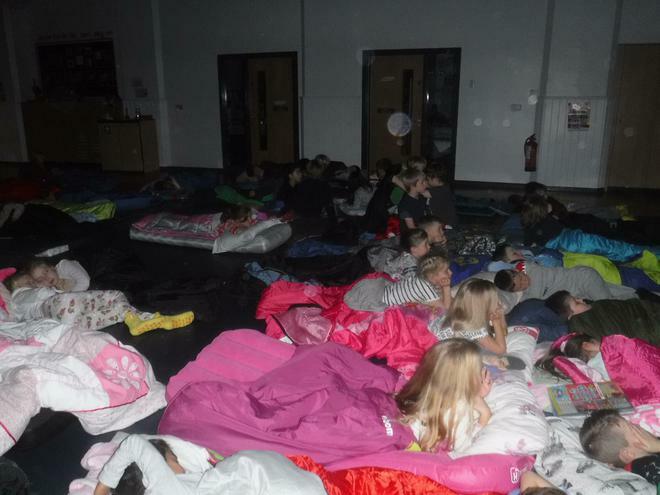 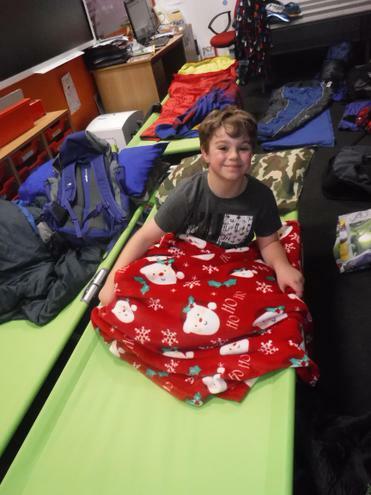 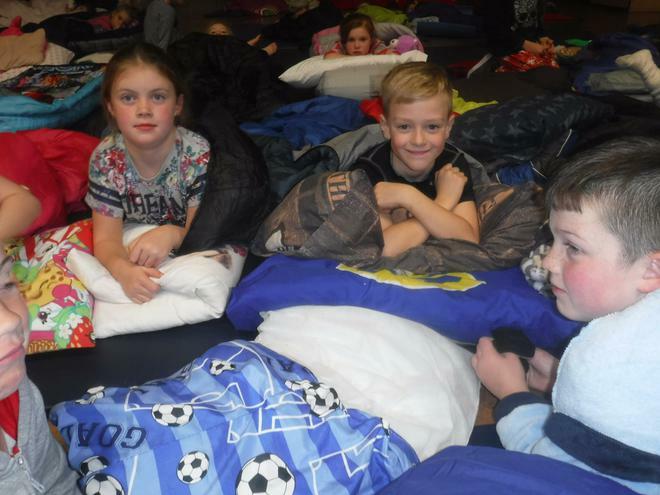 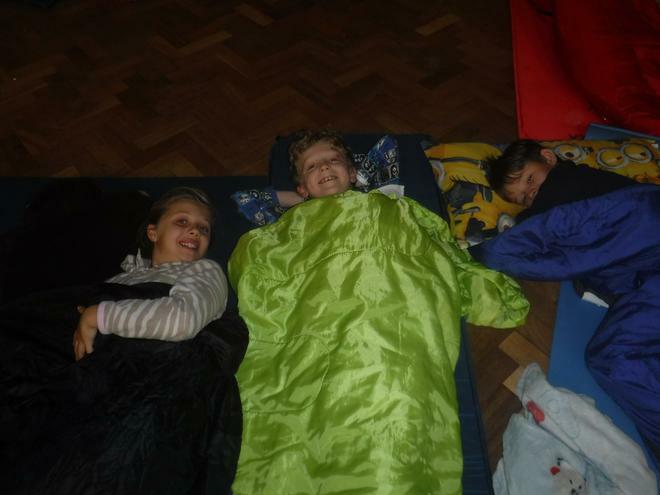 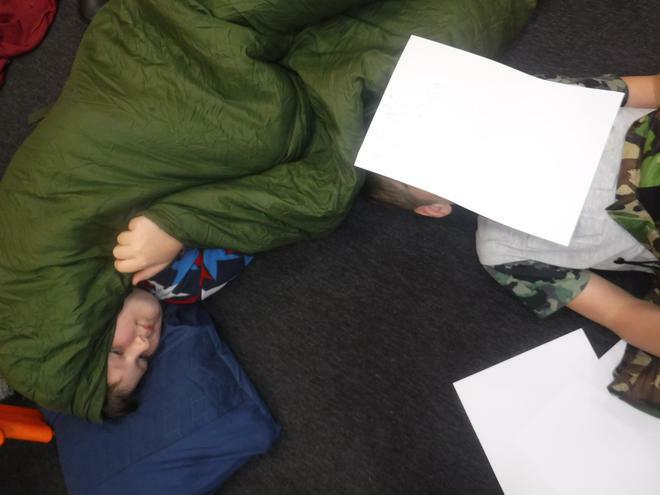 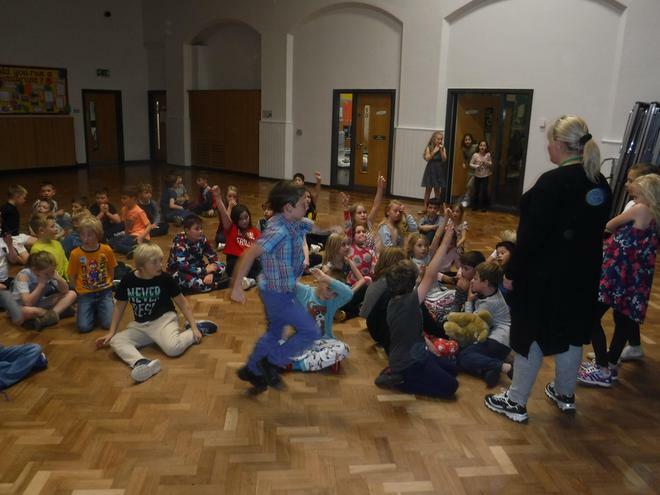 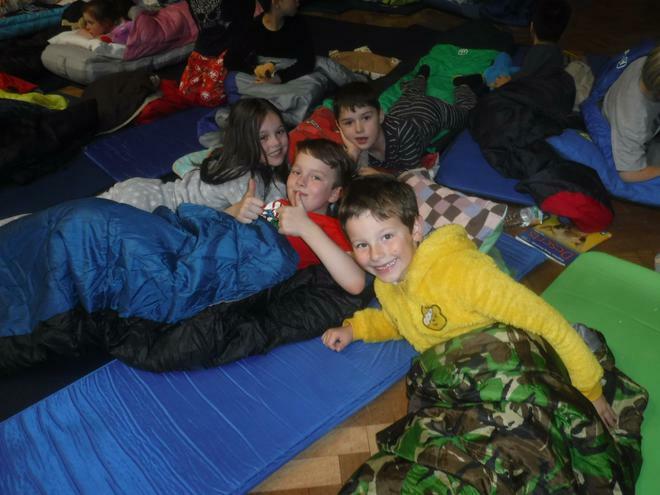 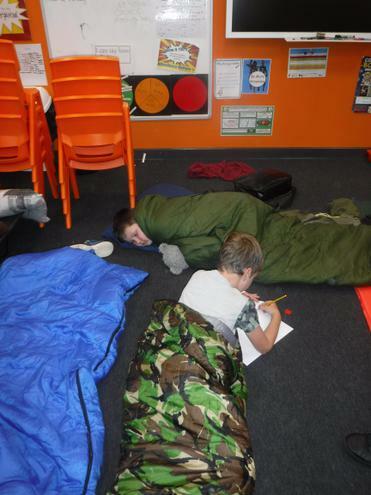 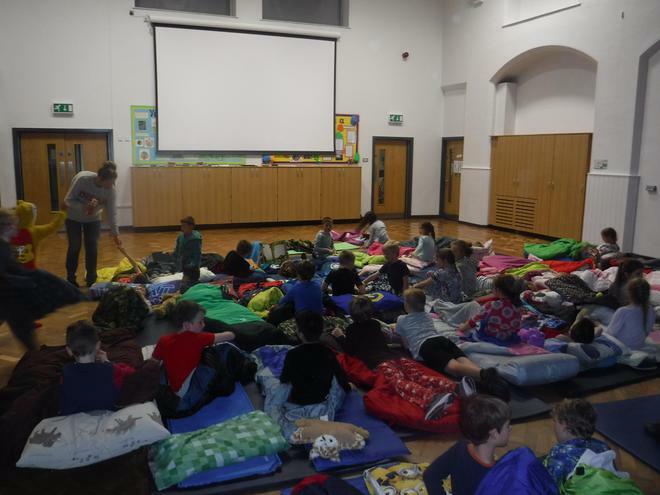 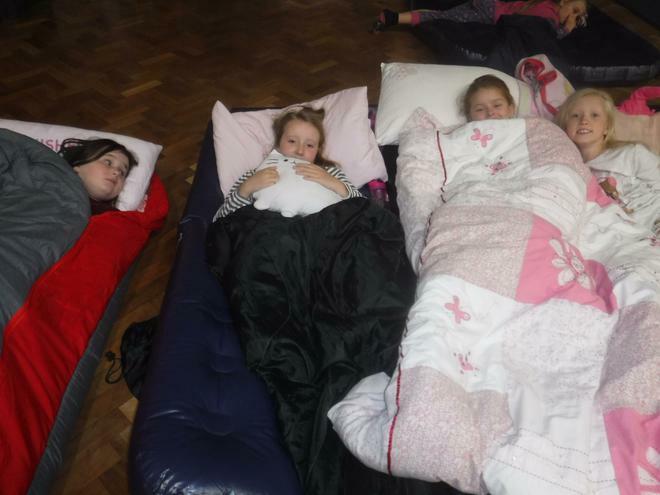 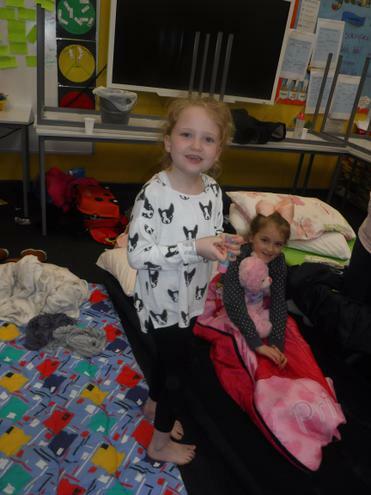 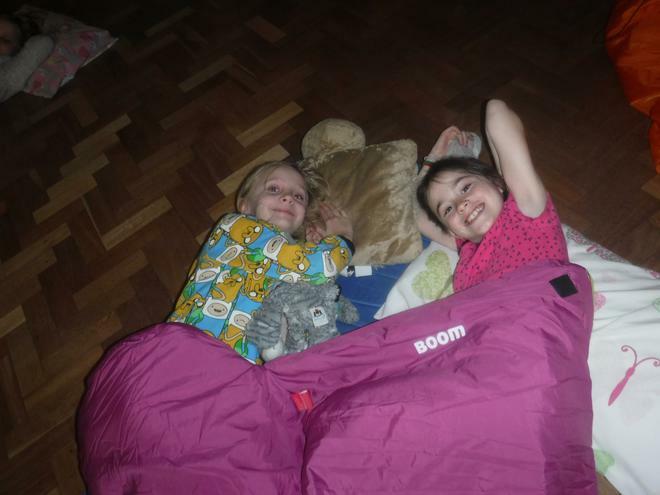 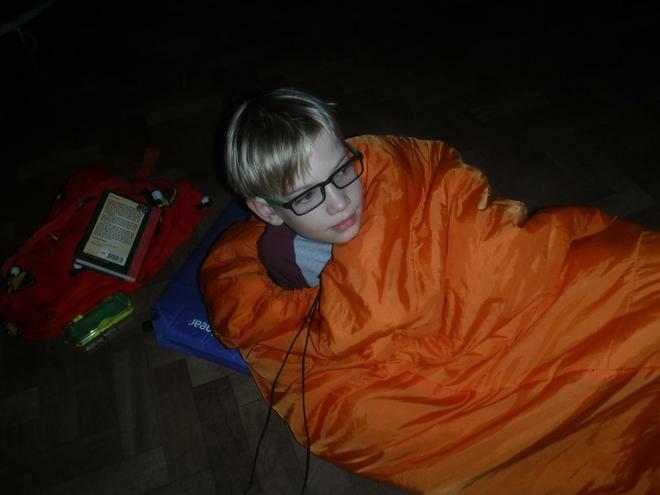 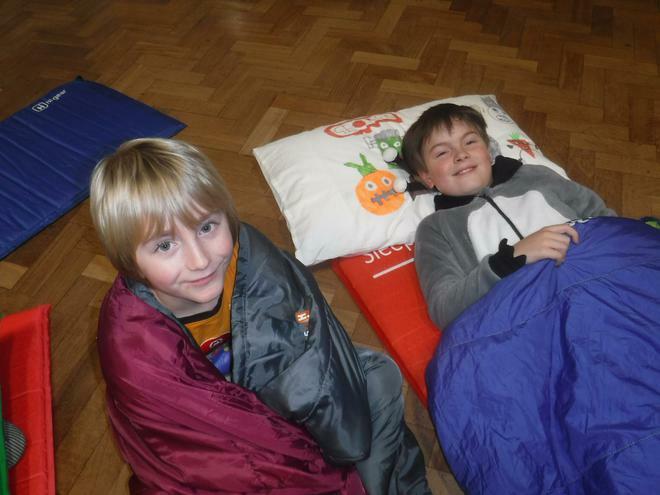 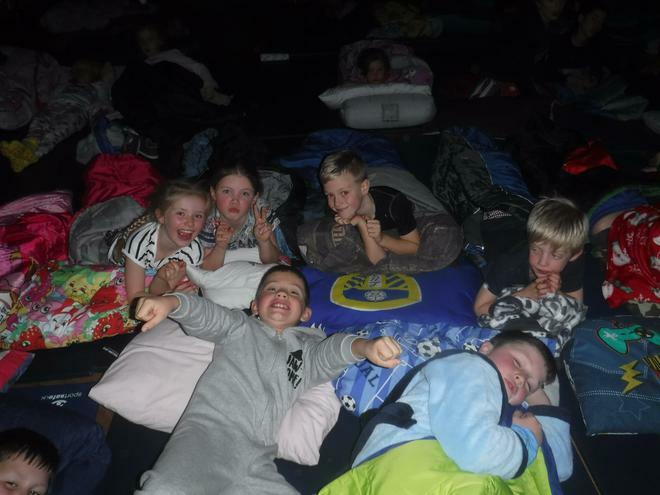 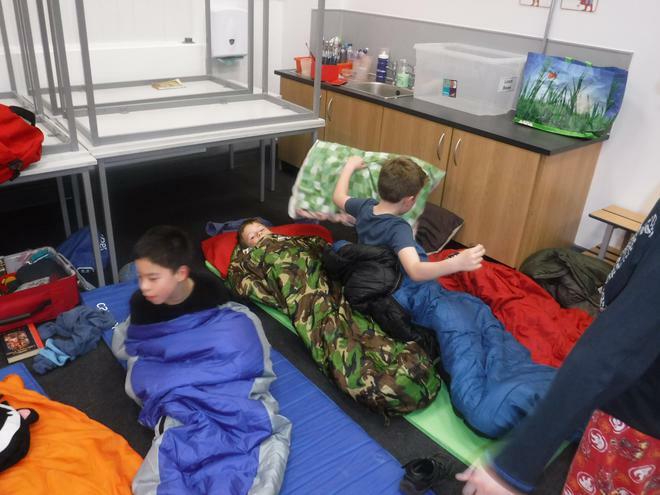 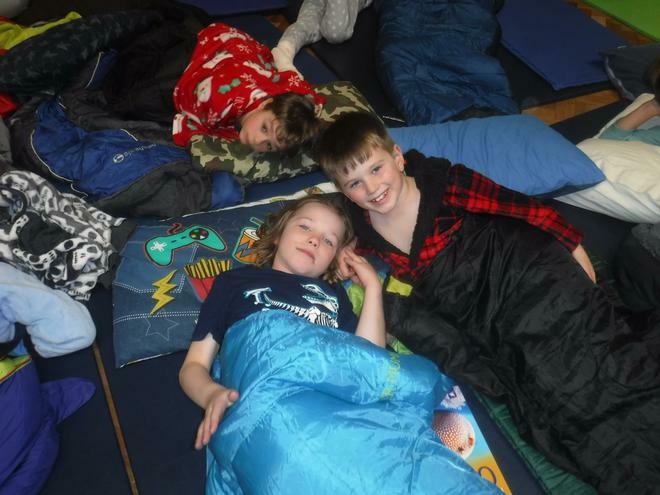 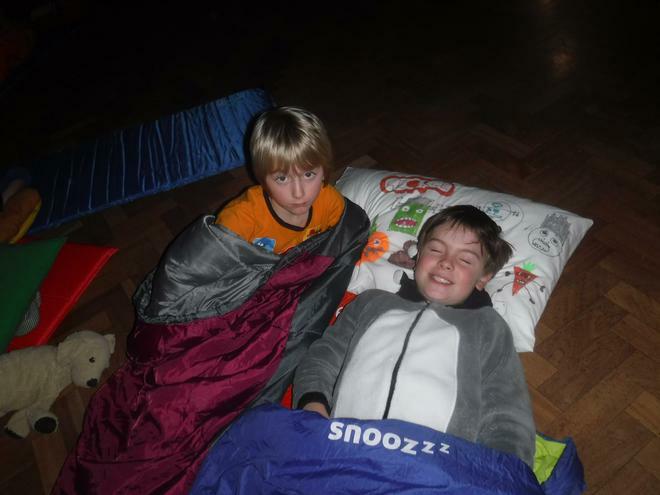 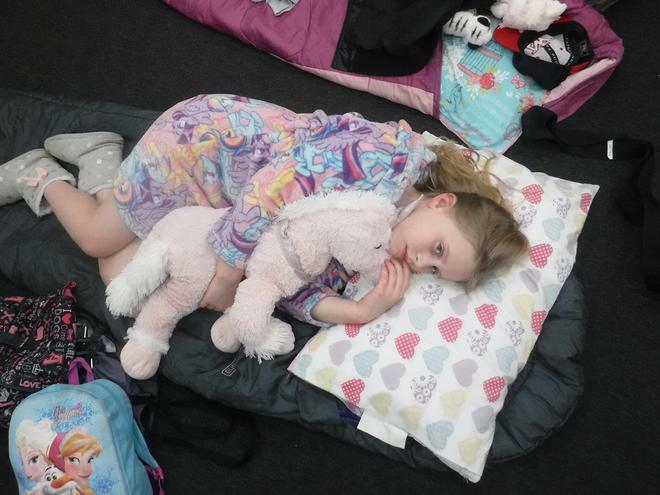 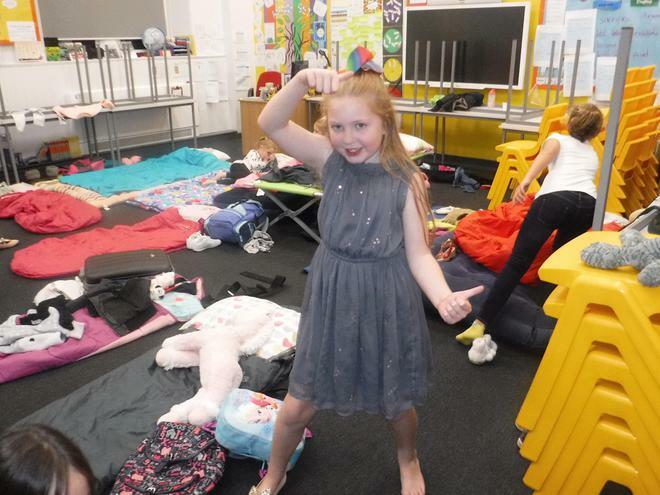 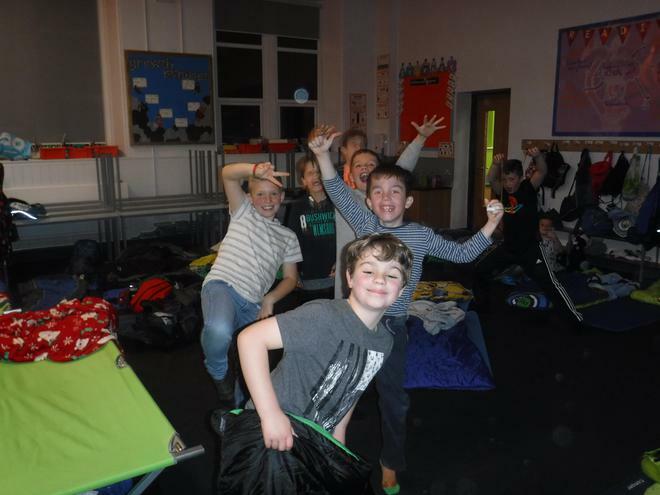 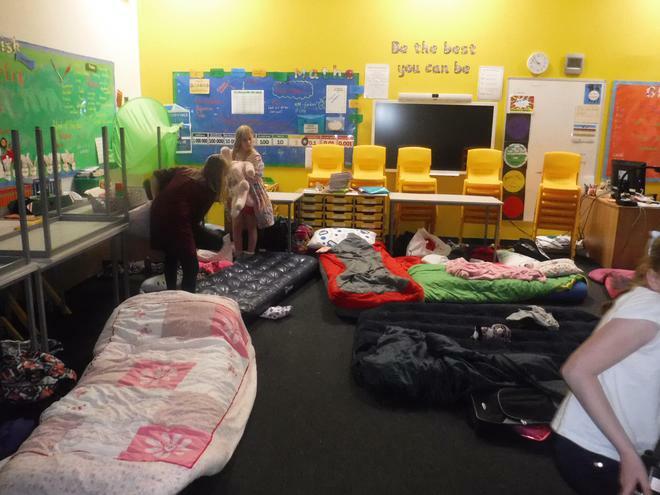 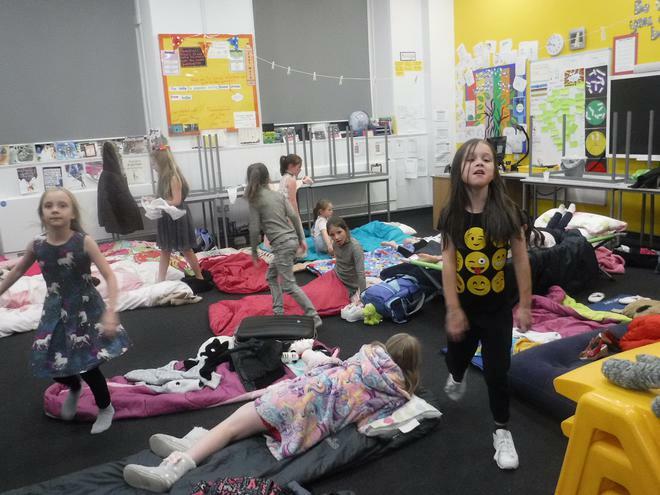 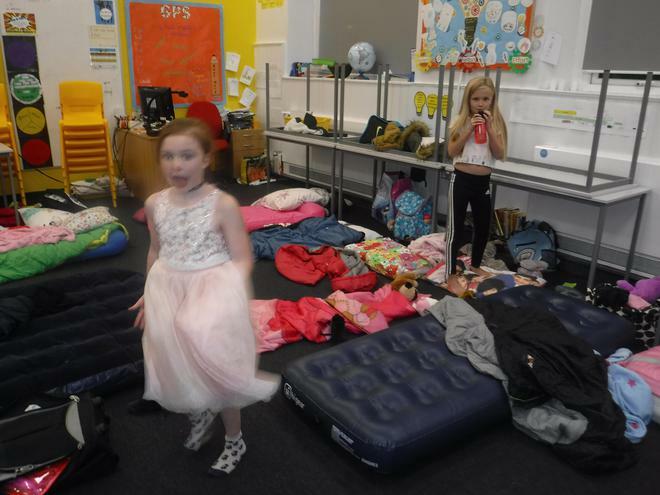 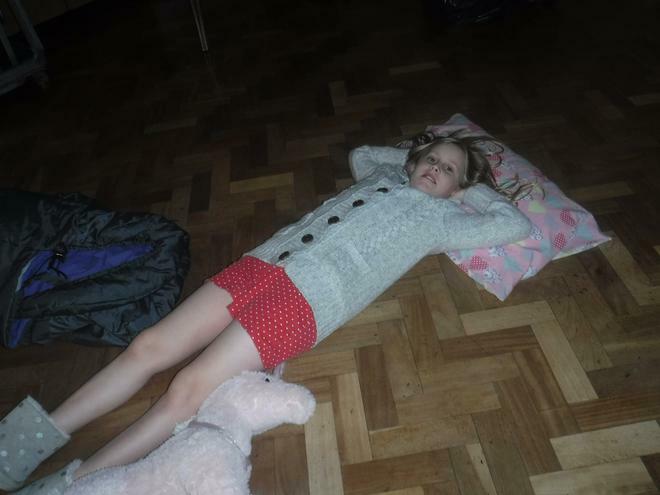 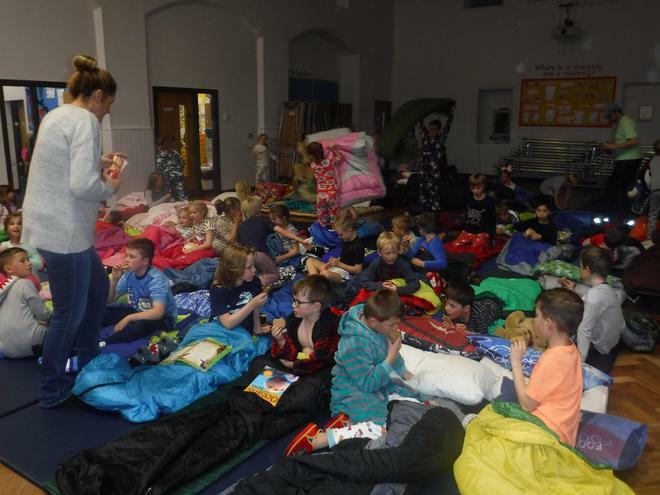 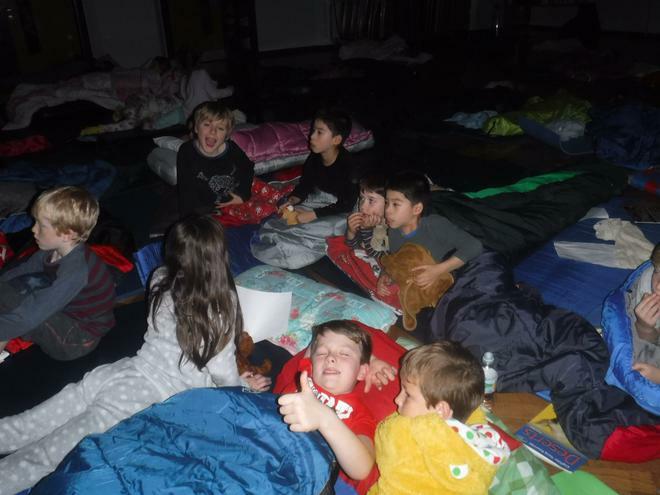 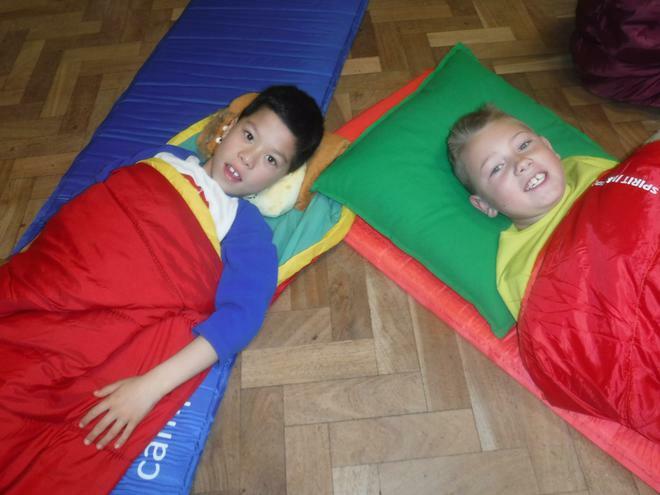 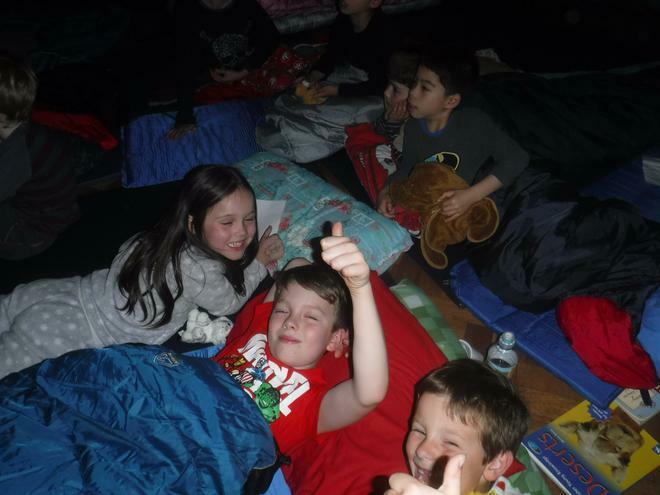 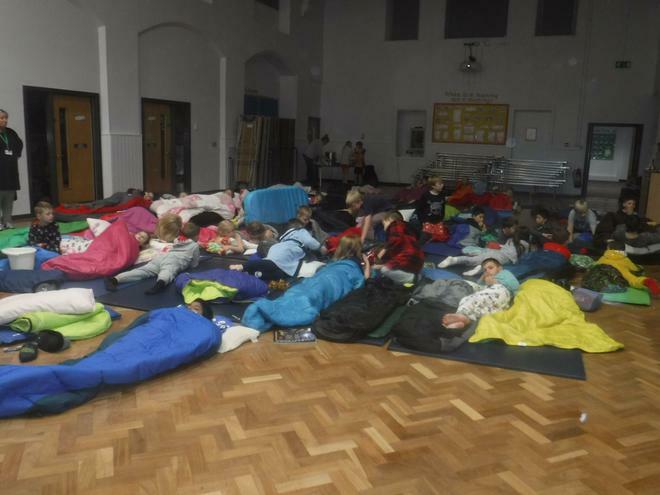 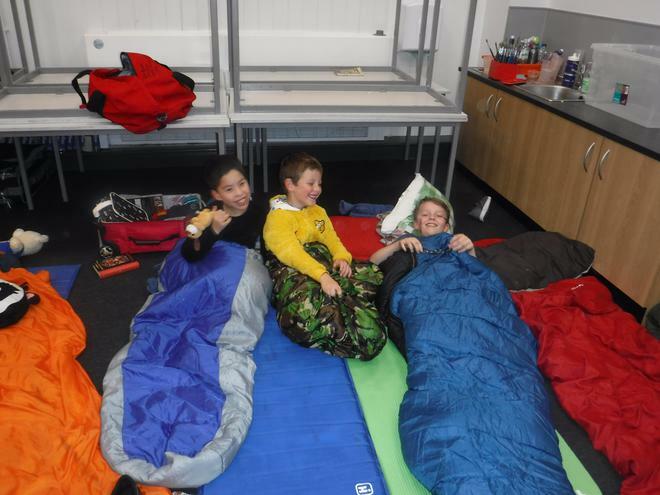 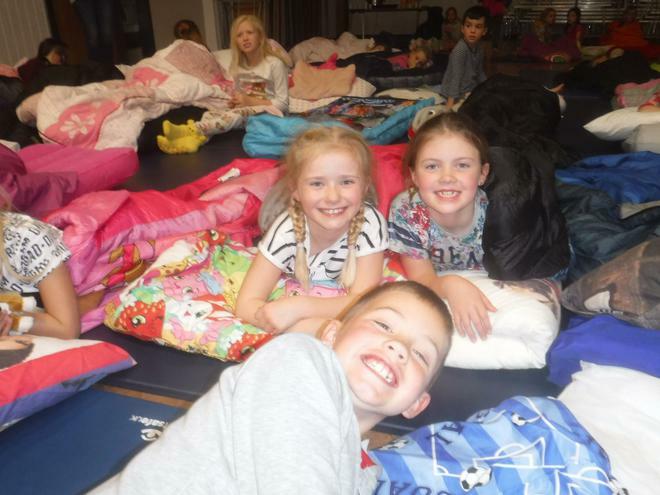 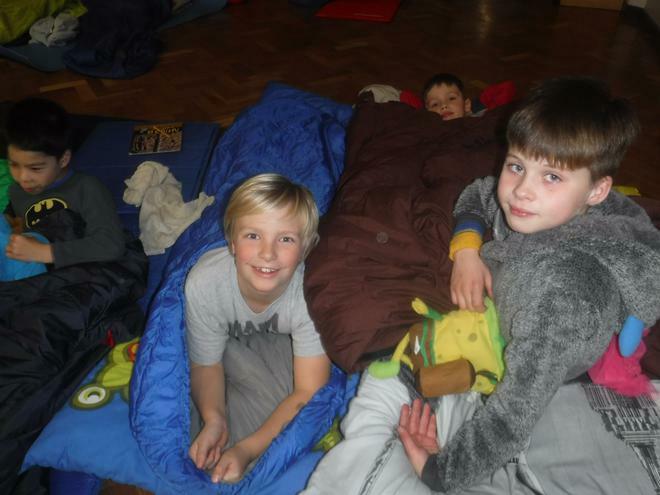 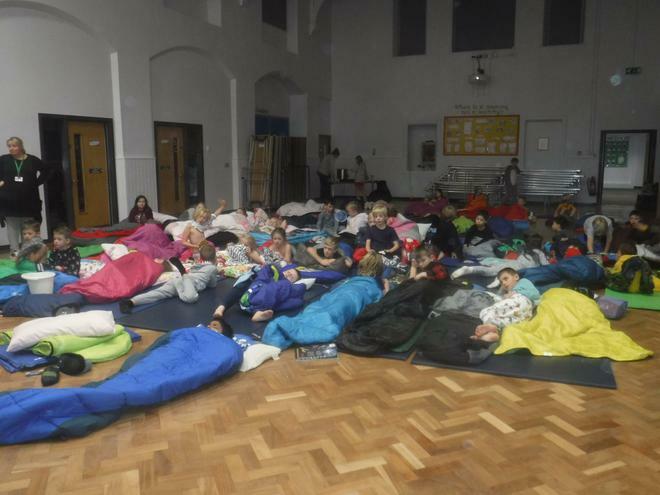 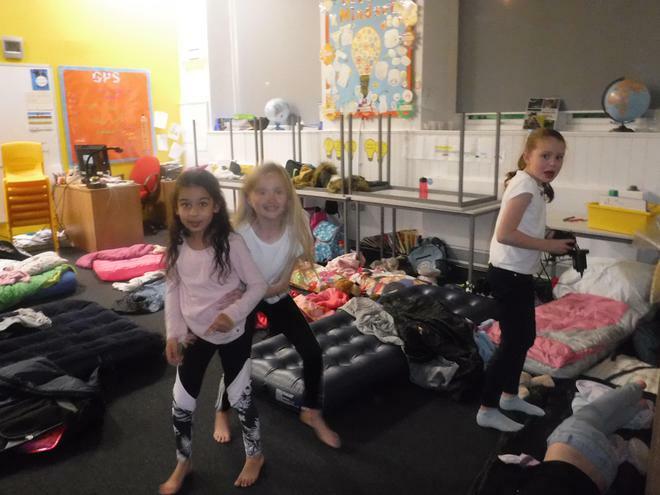 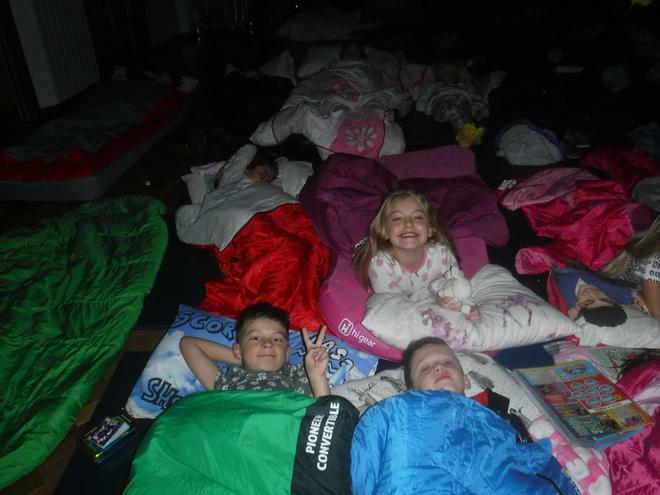 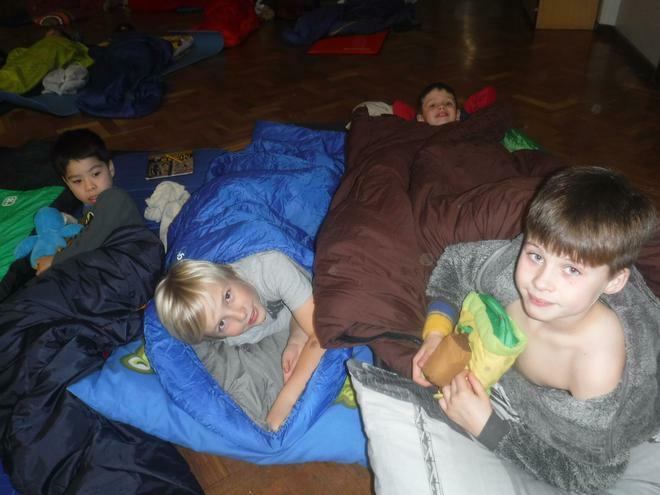 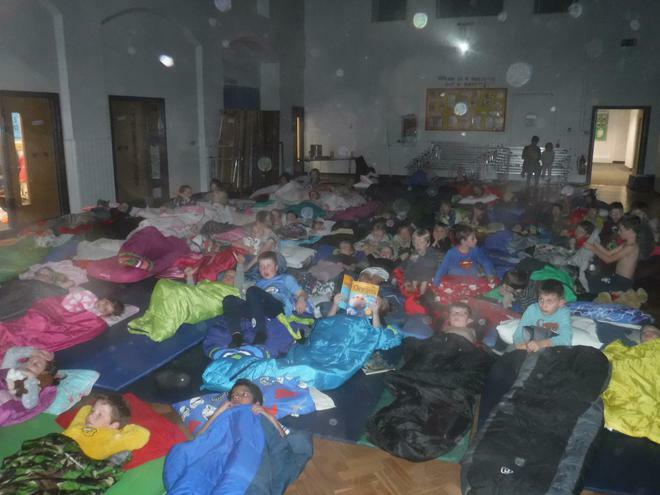 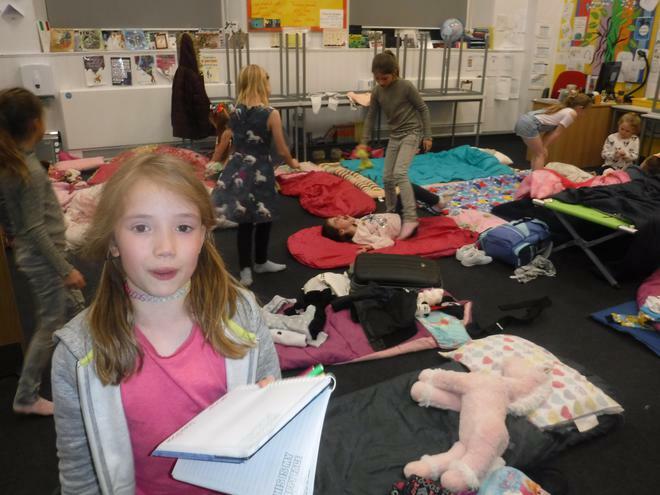 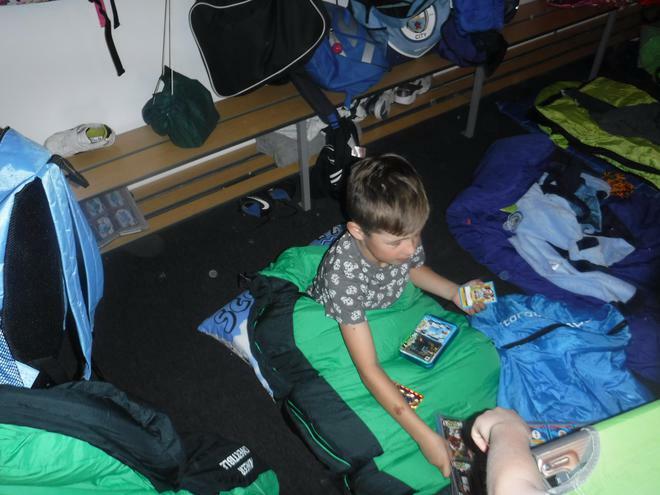 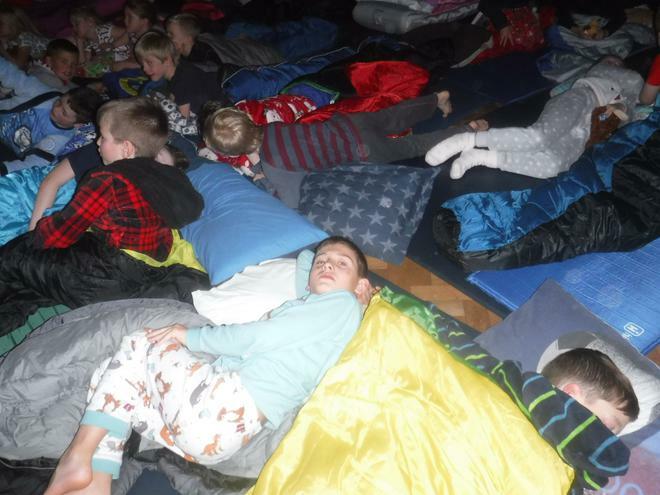 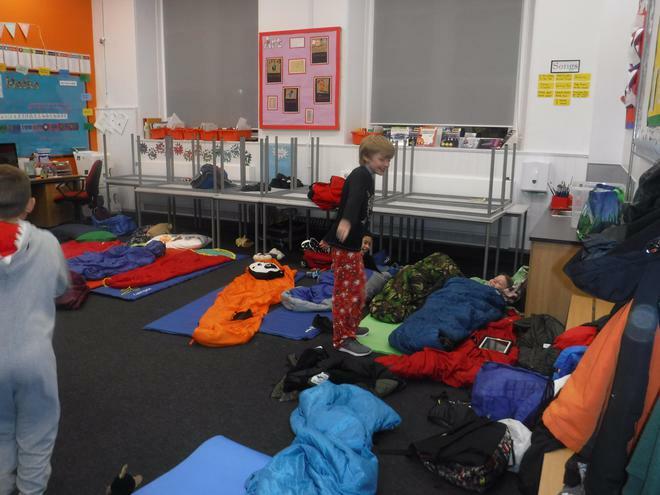 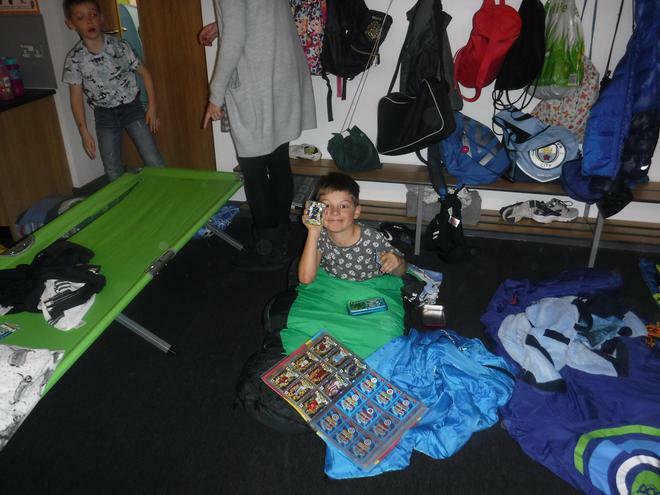 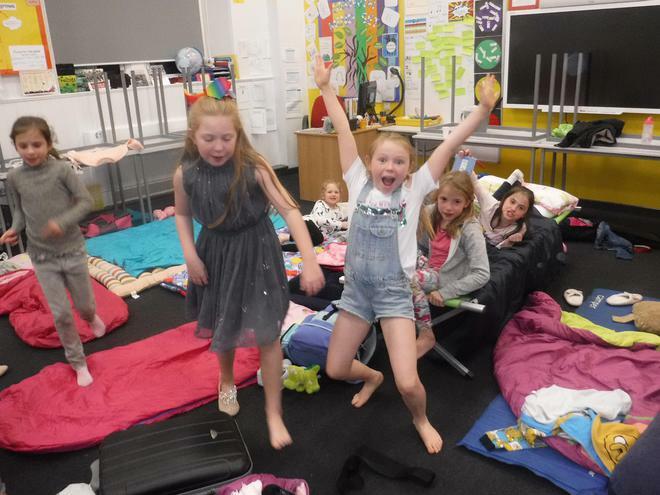 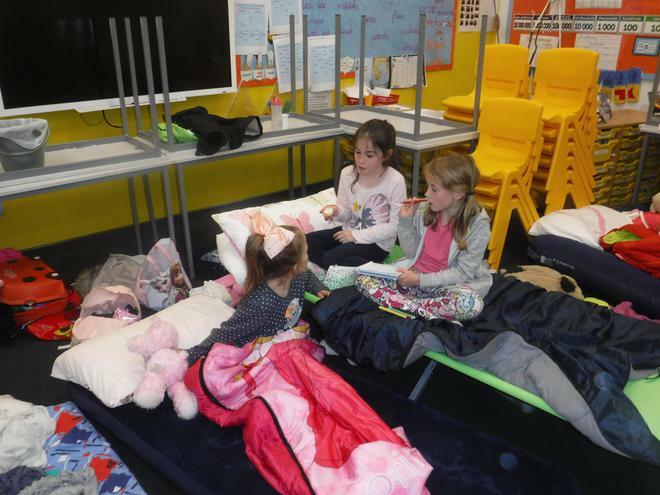 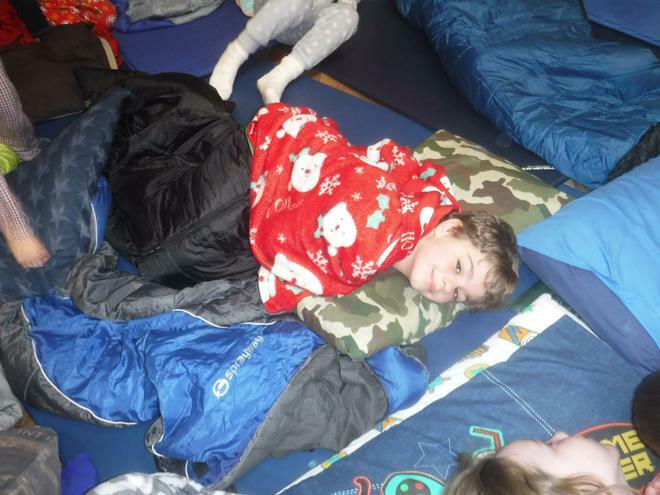 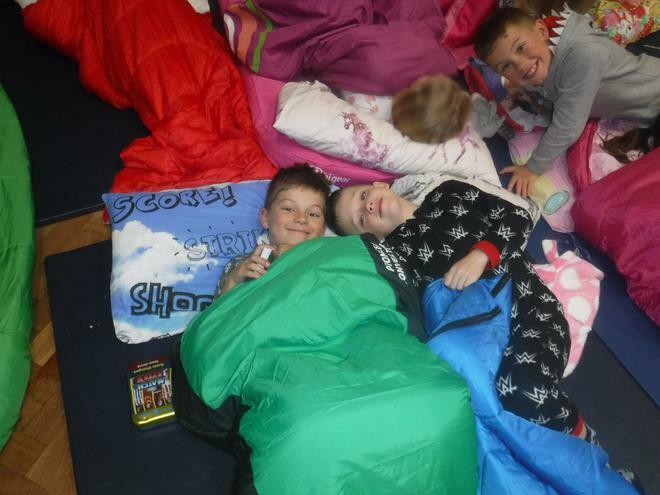 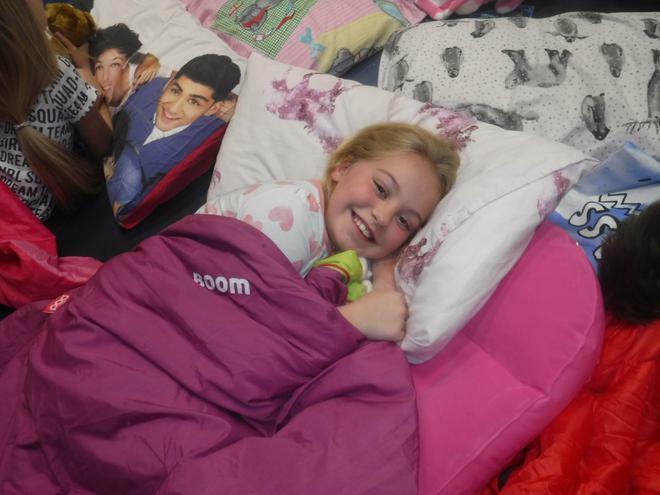 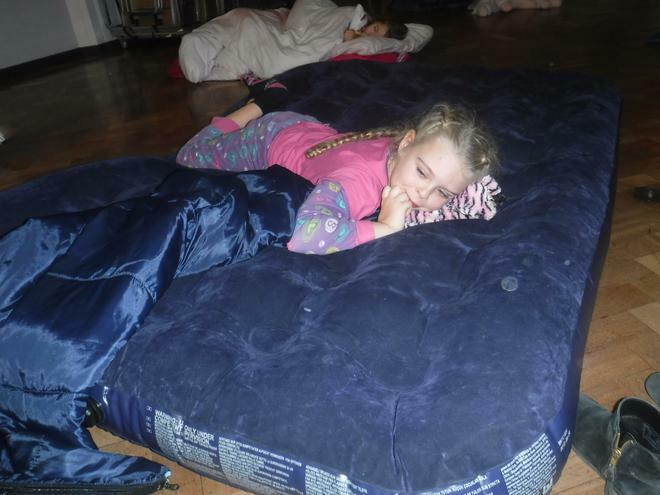 The children in Year 4 have had a fab night at the Giant Sleepover. 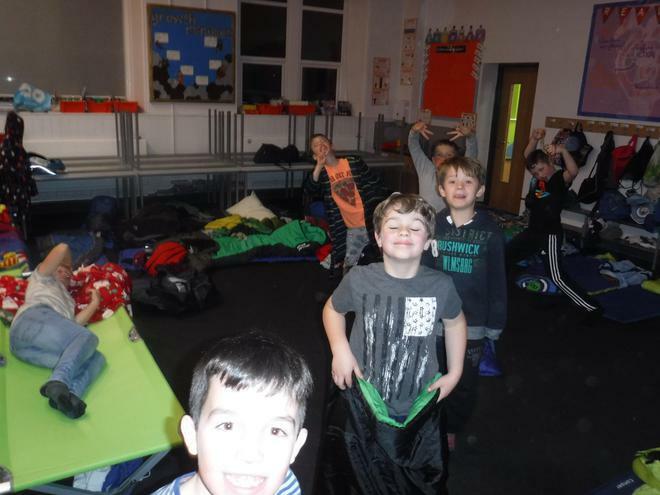 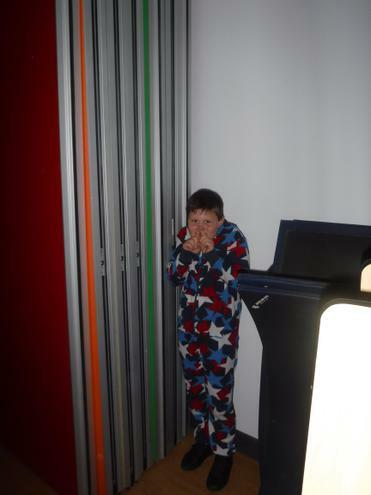 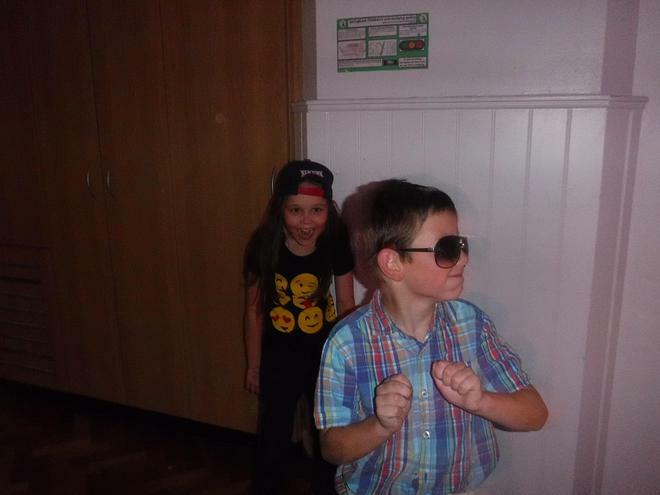 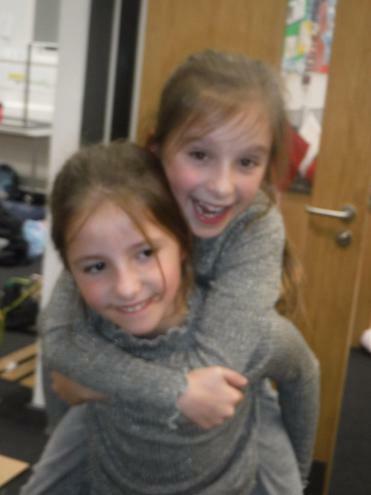 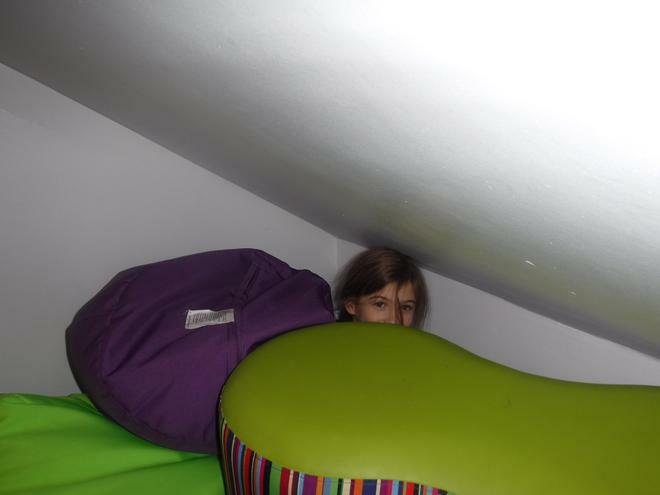 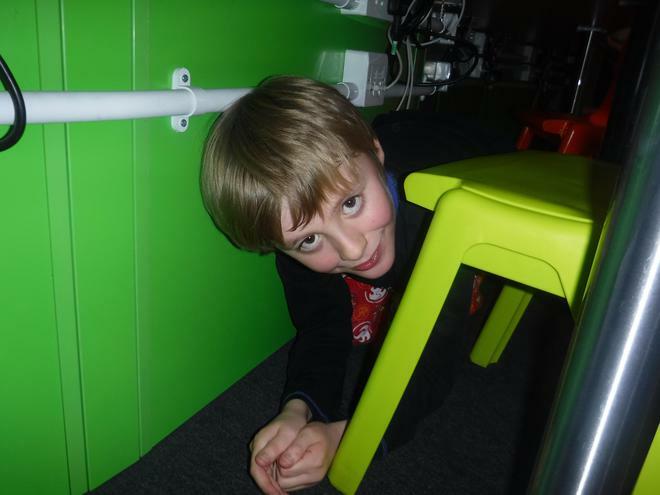 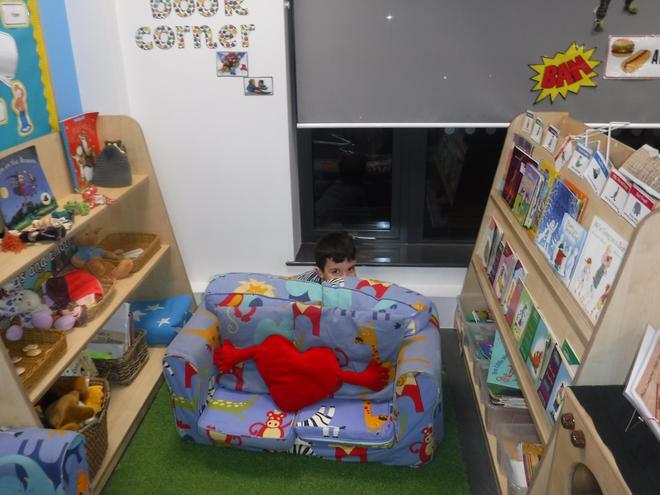 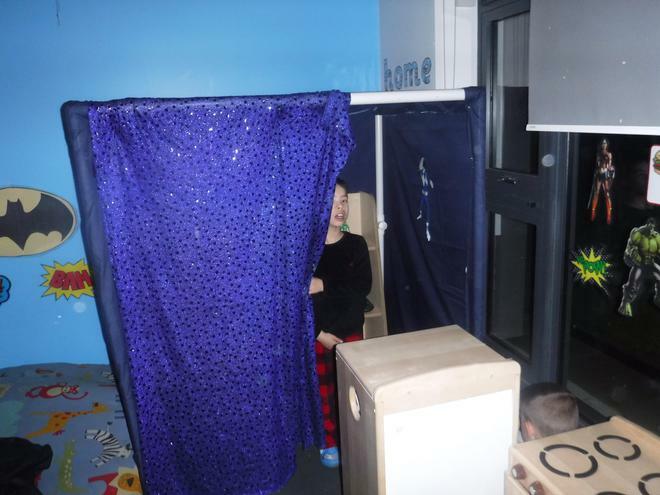 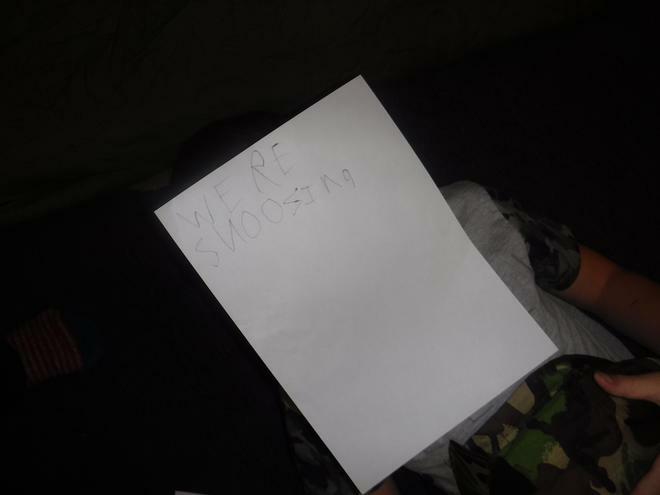 They loved playing hide and seek around the school as well as some other games. 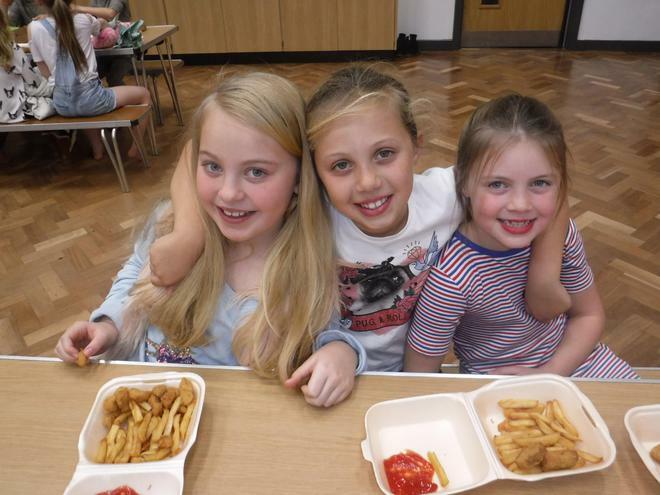 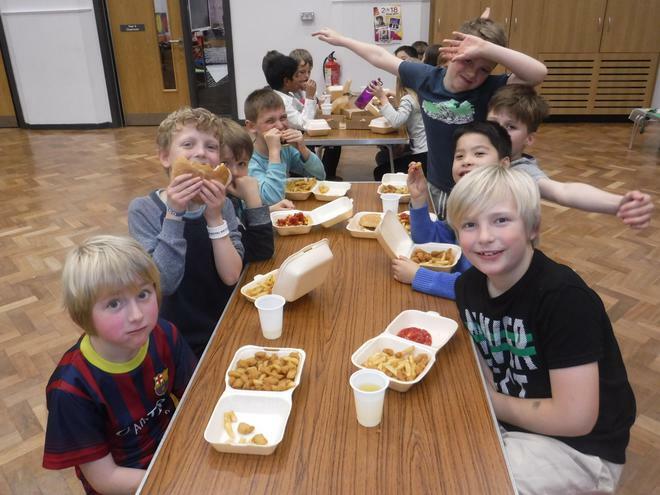 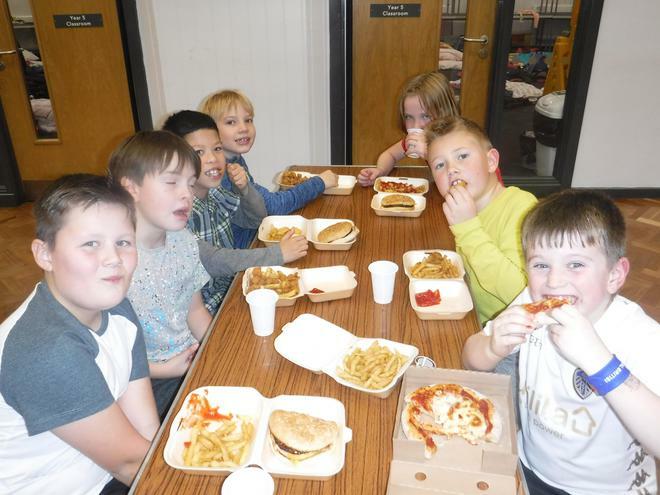 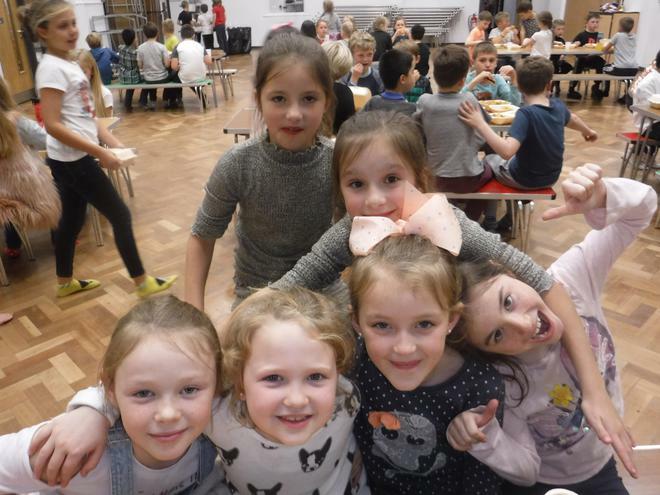 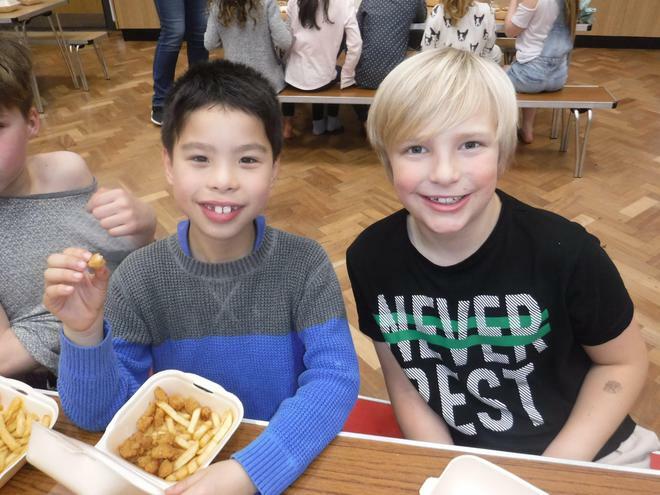 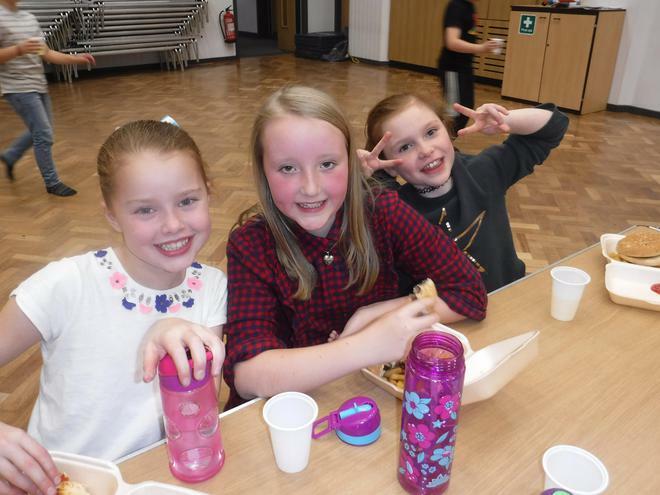 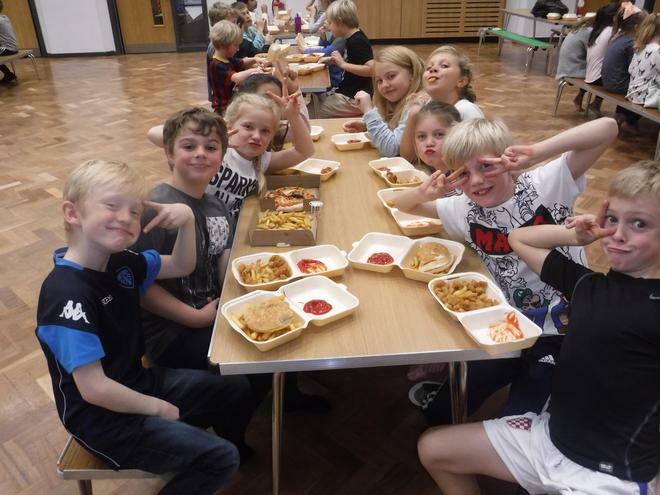 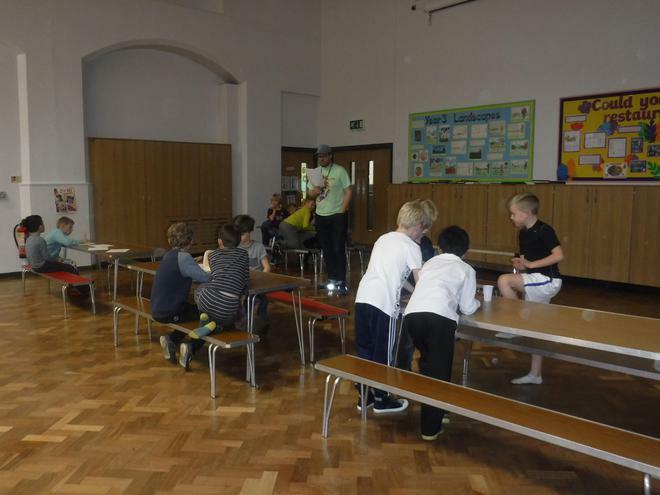 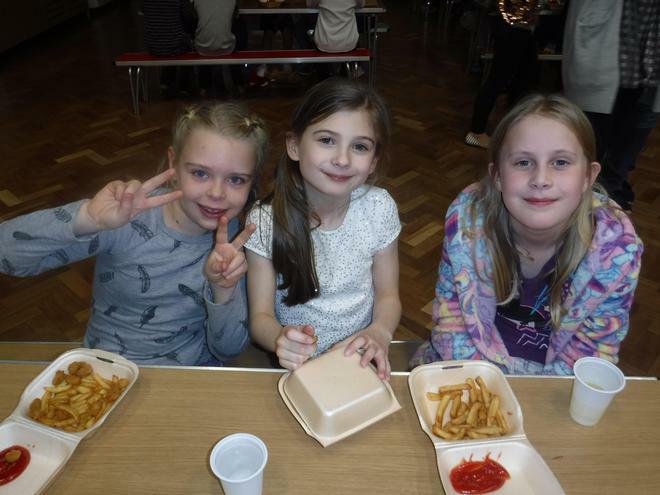 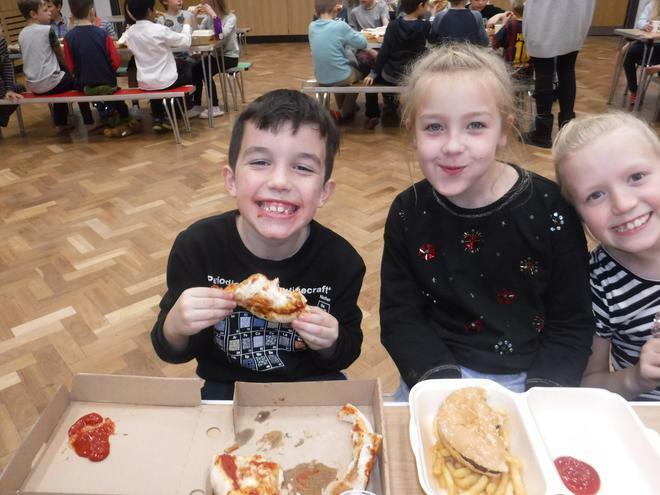 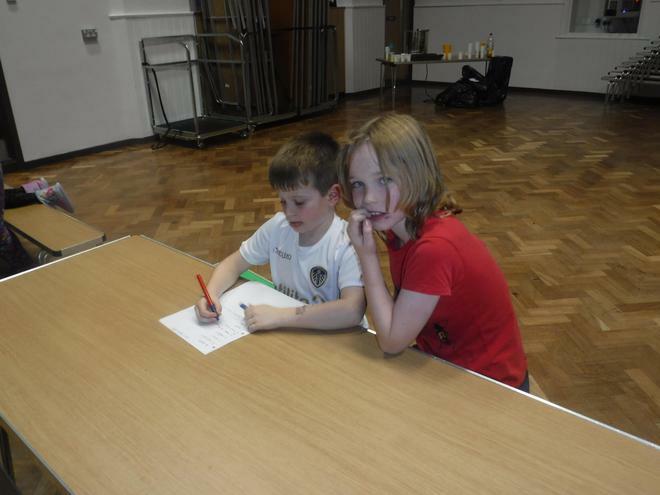 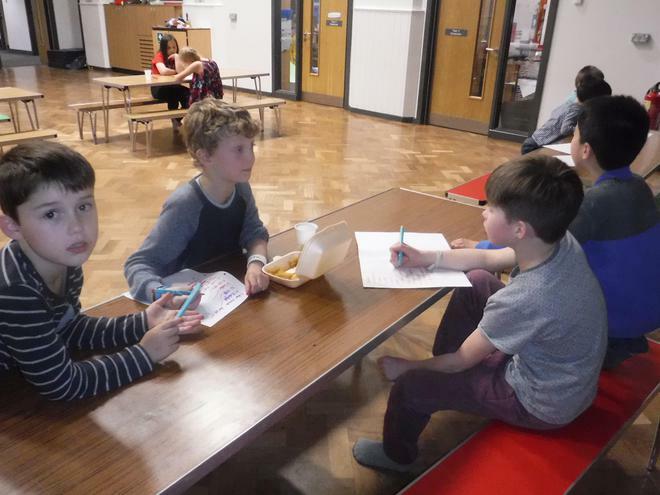 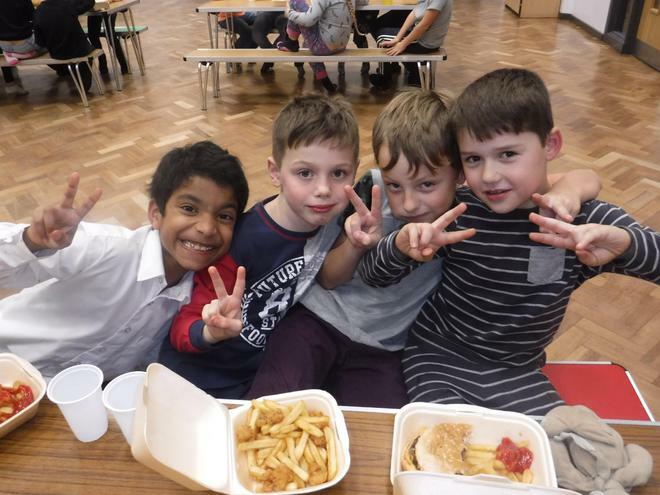 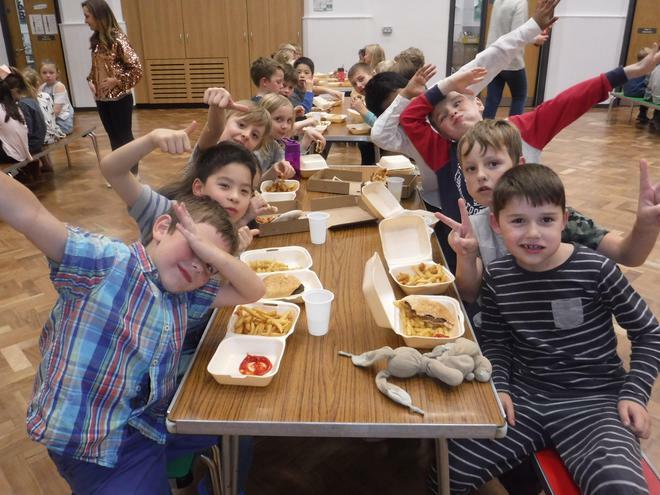 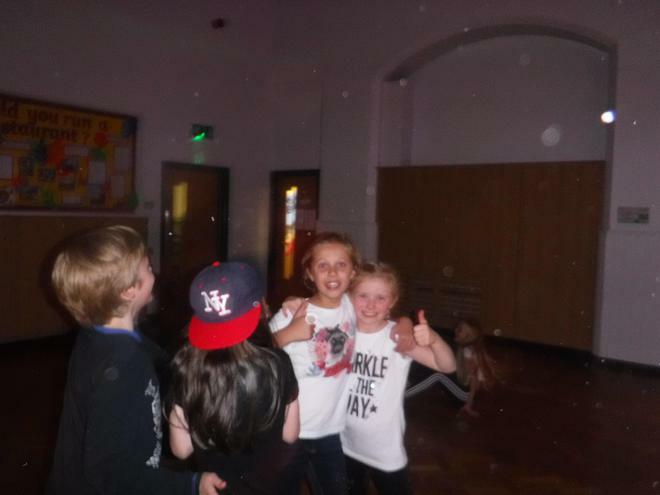 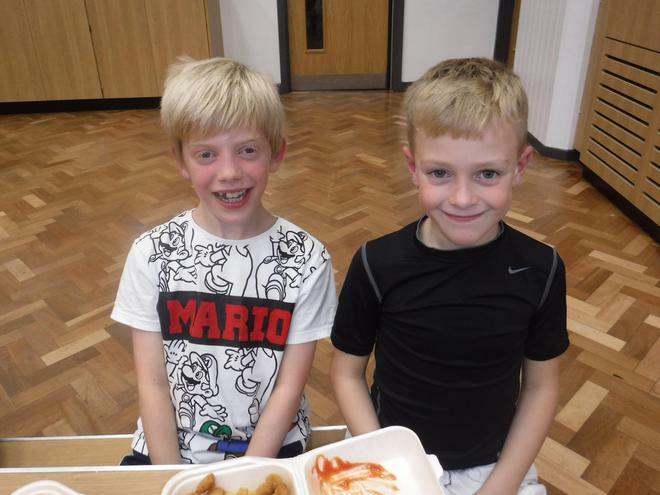 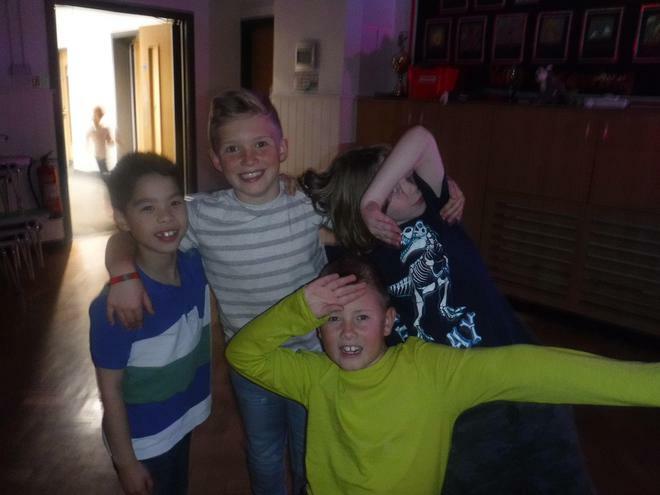 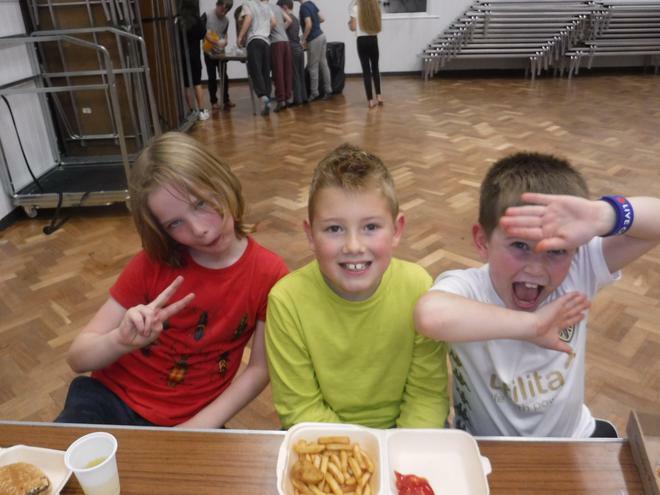 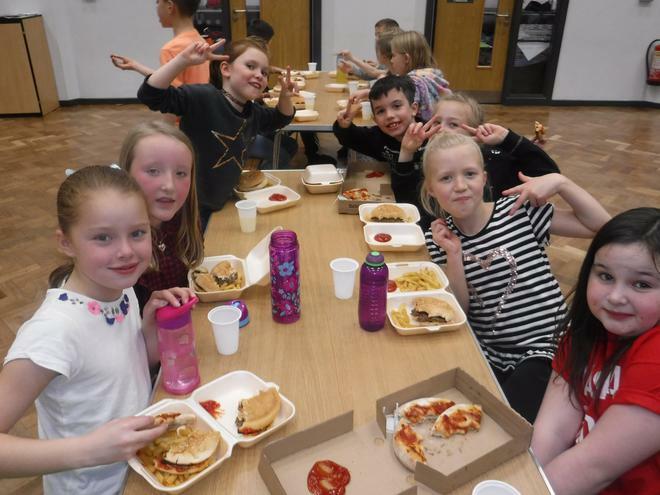 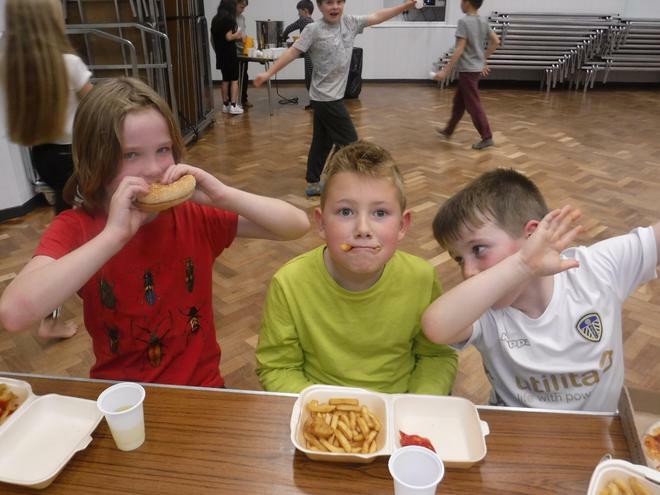 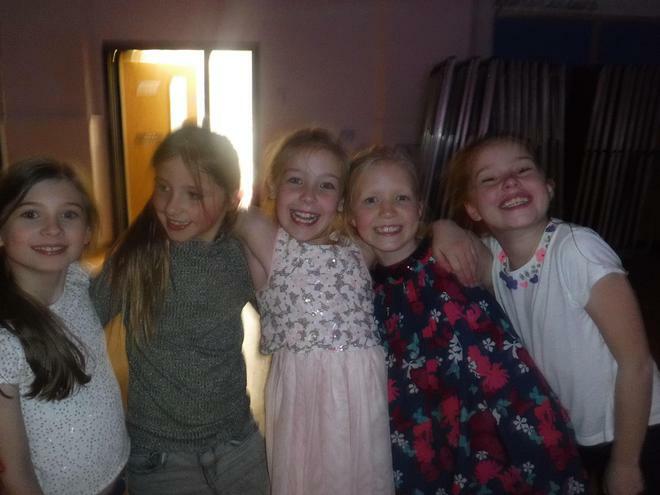 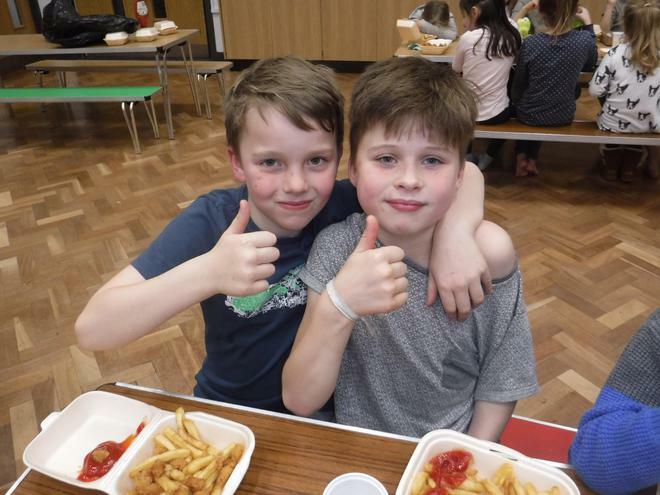 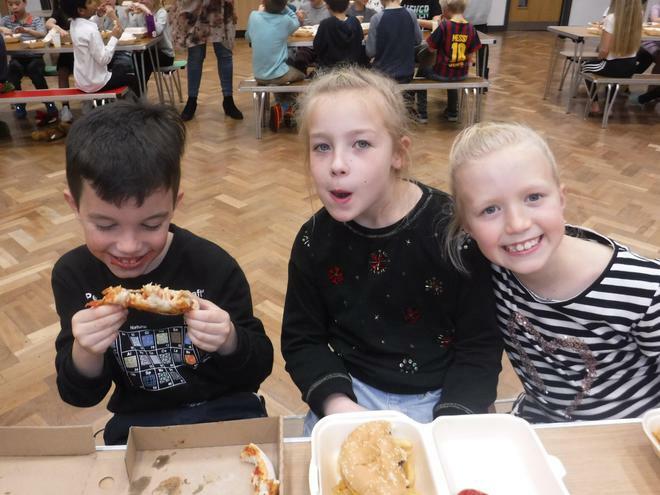 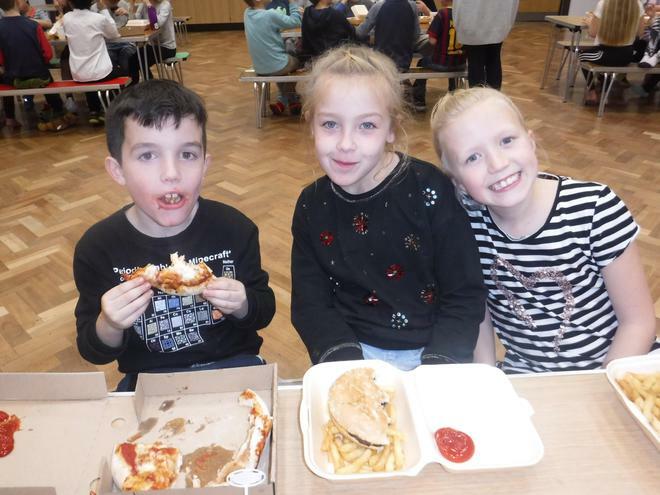 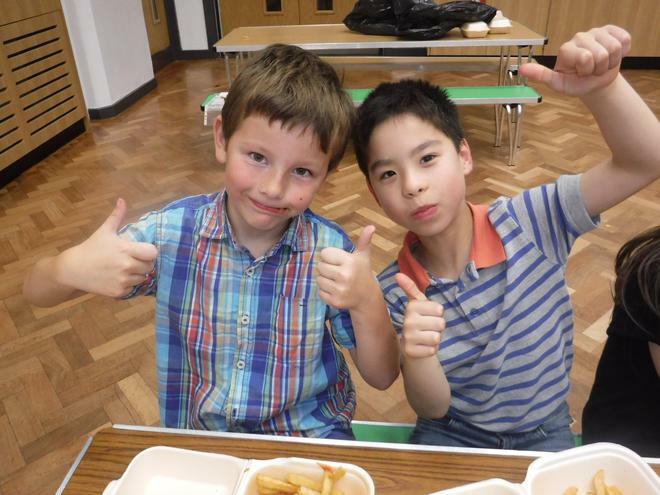 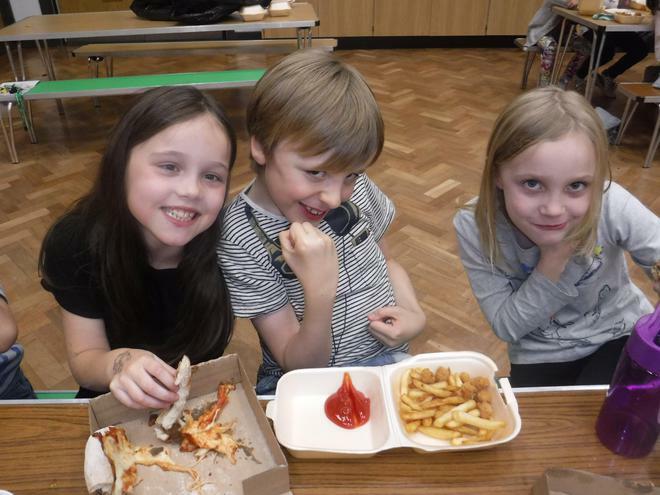 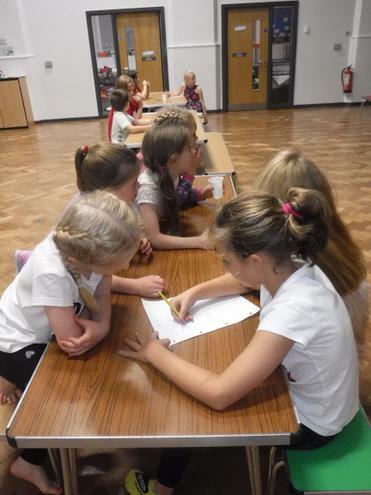 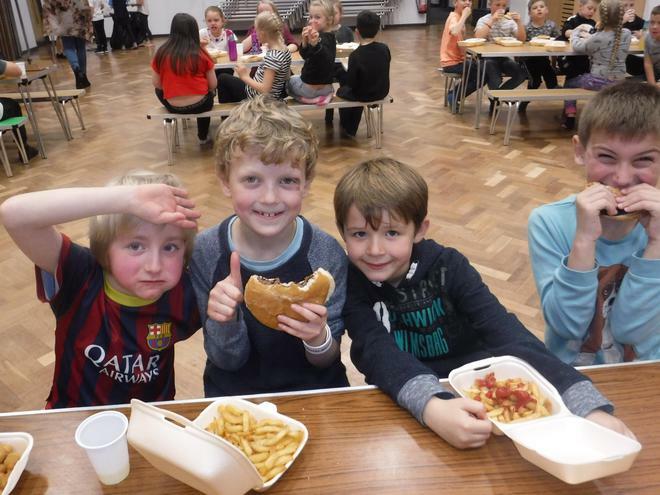 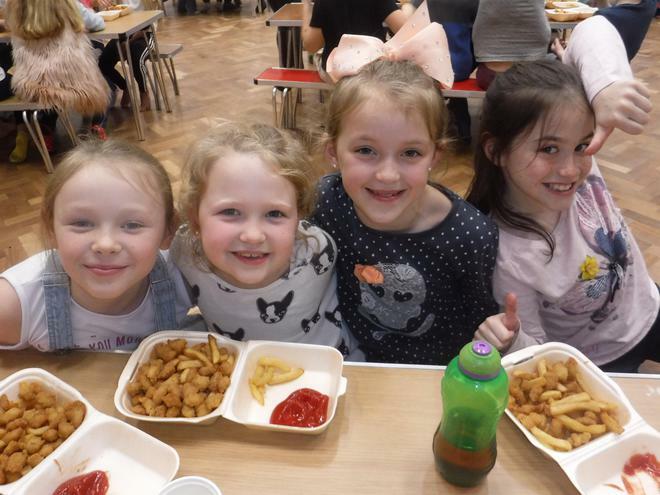 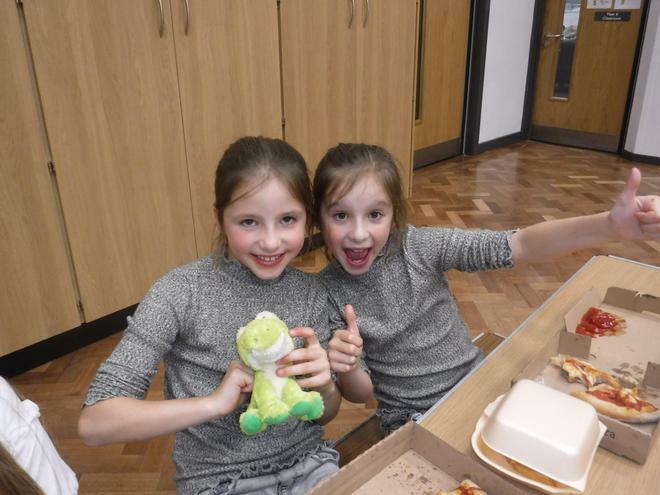 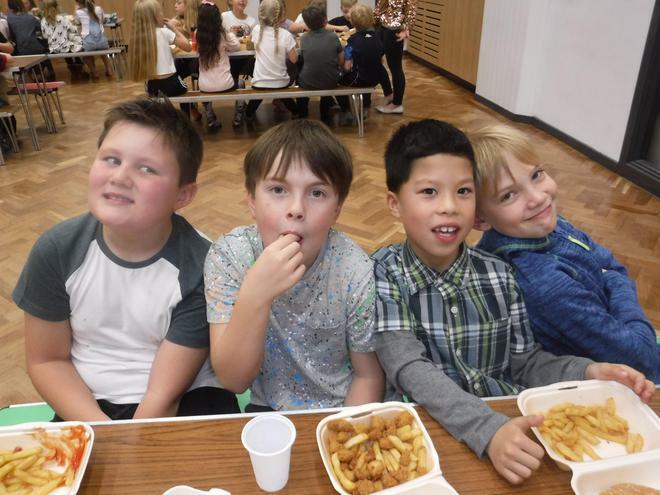 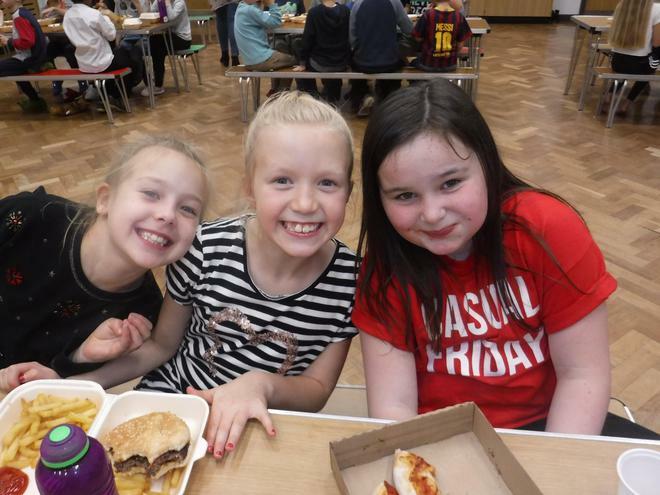 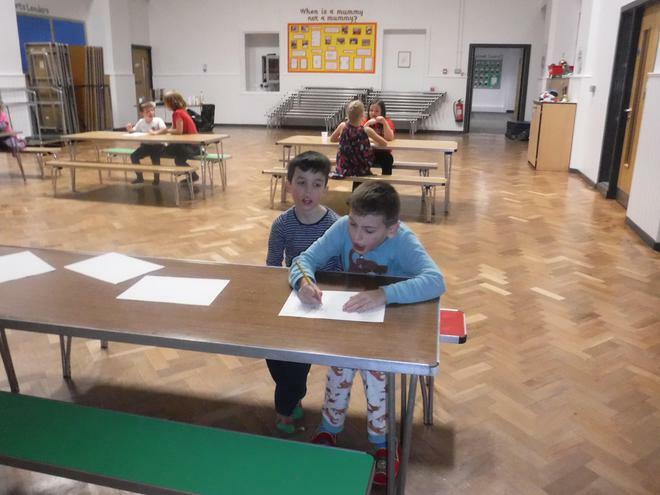 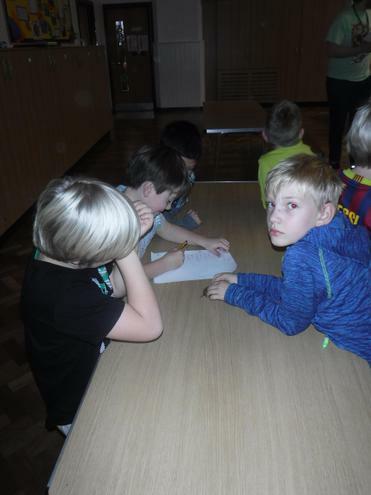 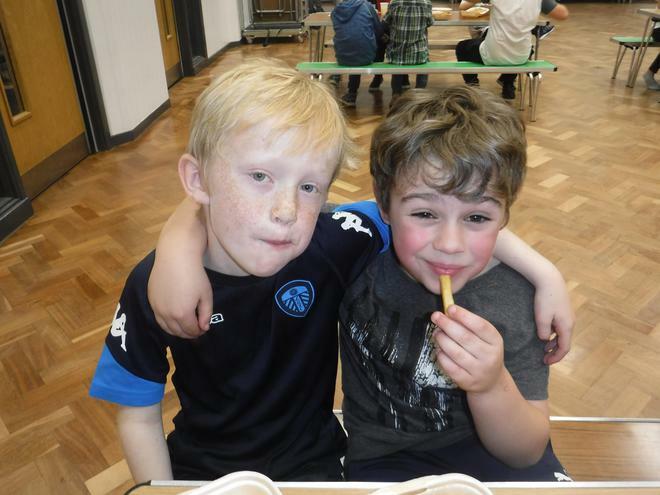 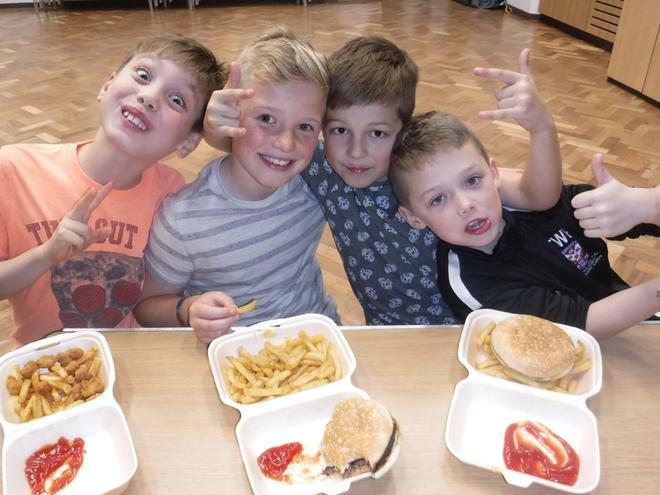 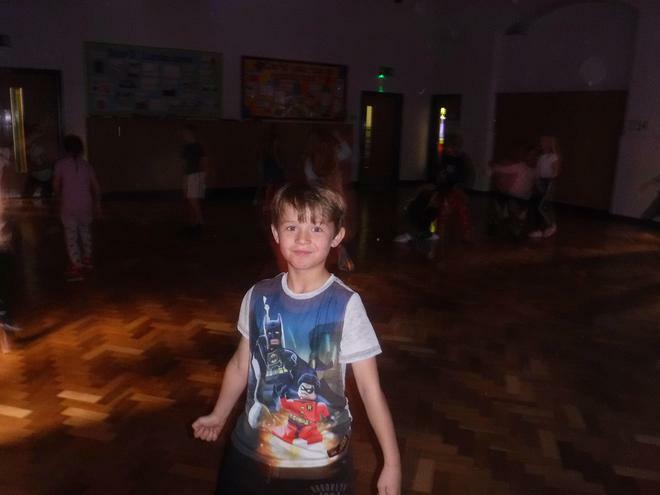 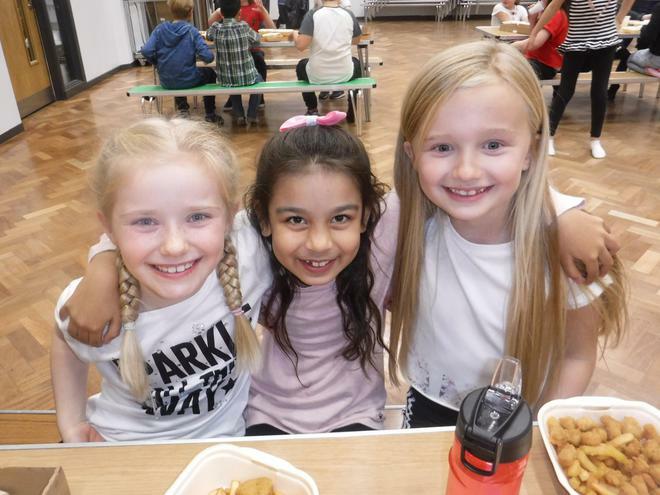 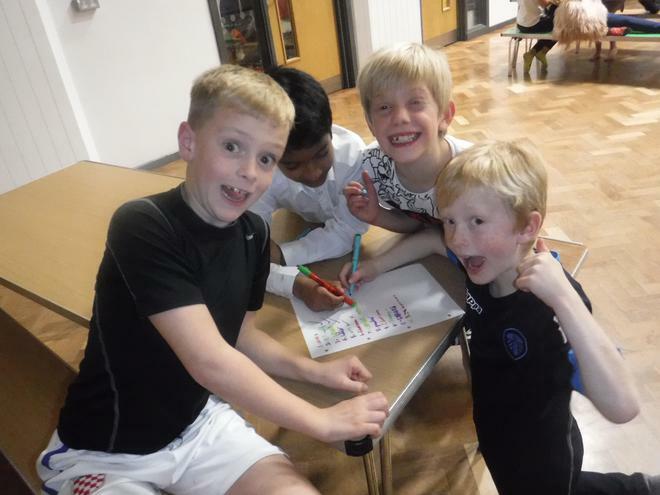 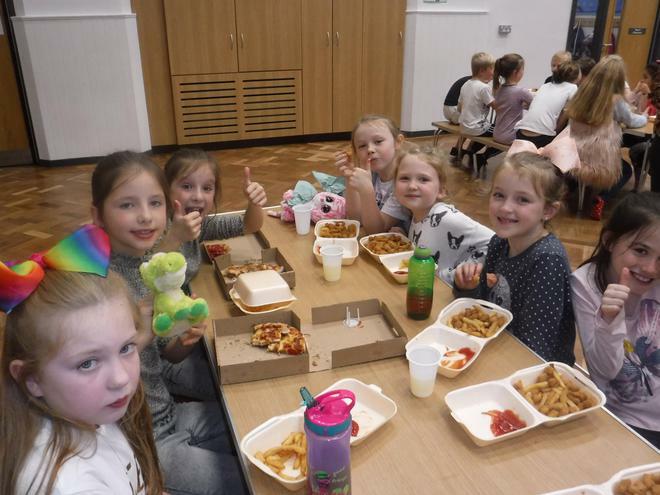 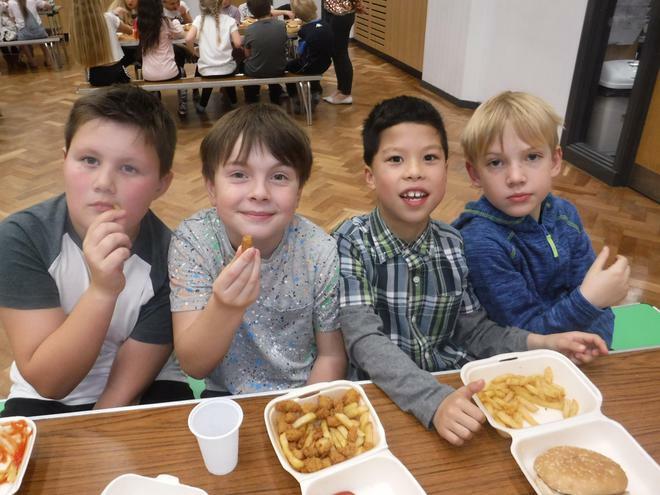 They enjoyed tucking into their take away meal before competing in a quiz and then having a boogie at the disco. 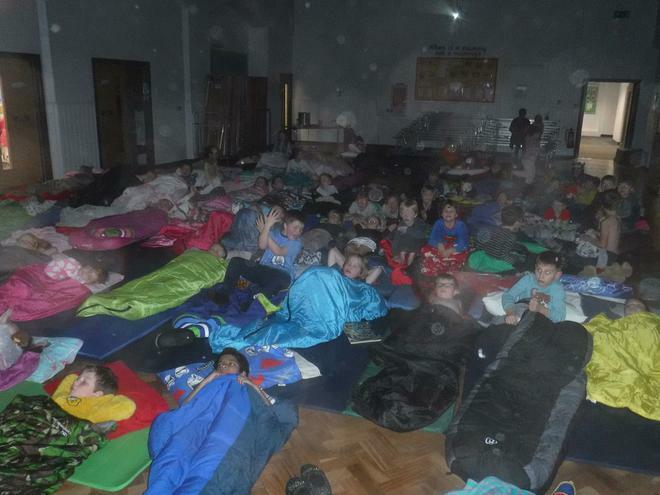 By midnight everyone had settled down to watch films. 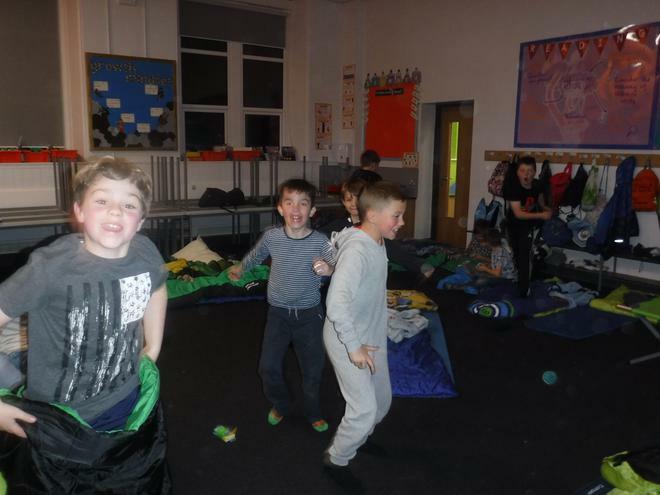 A small number of children were still awake at 4.30am, but did anyone make it through the night...Yes five of the staff! 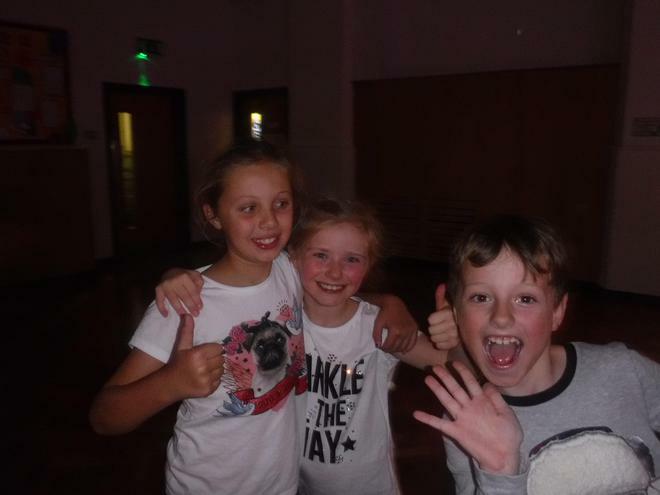 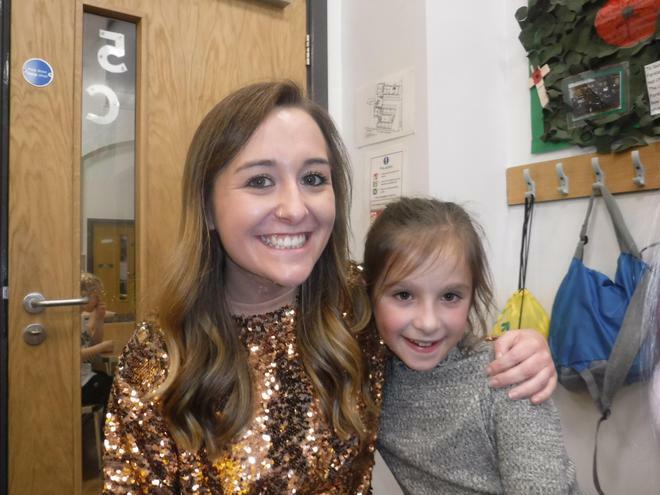 A great night had by all.